“Vaastu” provoking Team Anna Split ? A Vaastu expert claims that TEAM ANNA is facing problems like core committee members resigning or being beaten up in public has something to do with the Padmavati Guest House where Anna is residing at…. Do you believe in Vaastu to this extent? Is it really the Vaastu that is creating the problems or are there other factors behind it? People, who stand up together for a cause, follow and support the movement through thick and thin suddenly want to do away with all the hard work. Doesn’t it smell like political motivation behind all this? 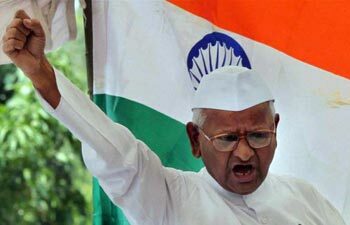 Was the ANNA movement politically motivated? Not that the UPA government is any saint, but doesn’t it seem like there may be other political implications behind the Anna movement?